The Society has taken on Georgina Gater-Moore [Georgie] as their new Press and Publicity Officer. Georgie is currently finishing her BSc [Hons] Degree at Harper Adams and will start her role with the Society immediately. Georgie will attend the Society Open Day and AGM so everyone will get a chance to meet her. She will be looking for volunteers to do short features on farm with the hope of getting them to press. We look forward to working with Georgie and hope that the breed benefits from the extra publicity. If you have any news items or want to get in touch with Georgie she can be contacted by email using publicity@easycaresheep.com . In particular Georgie would appreciate any good quality phone or camera photos to start creating a collection for social media use etc. If you have any please send directly to her via her new email address. Your Society continues to work on your behalf to promote the Easy Care Sheep breed. 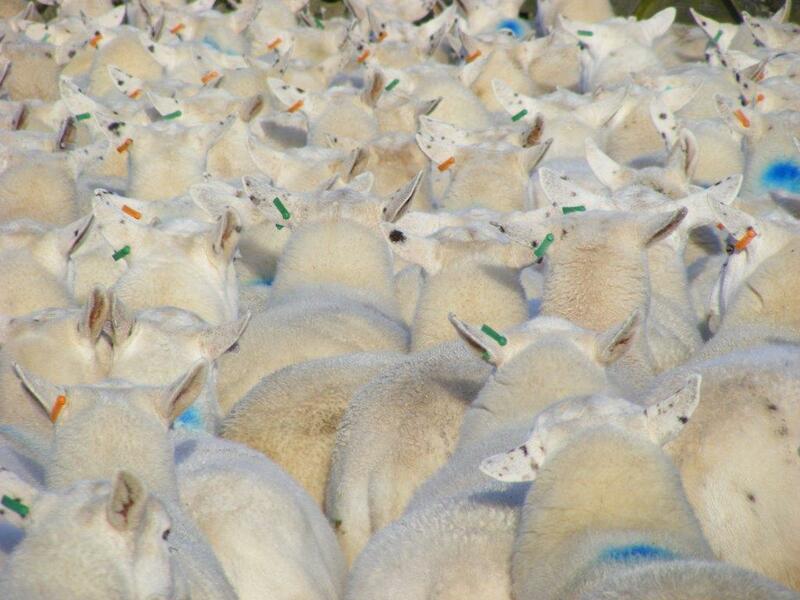 Look at James Barton's Easycare flock on the Lea Estate Farm. SATURDAY 1.30- TRAVEL TO “NIVEK” FARM , 20 MINS AWAY ,near Snitterby - Look at Easy Care ewes cross beltex (briefly in fields round cattle sheds) and BELGIUM BLUE X FREISIAN finishing cattle being fed a straw, concentrate and potato peel diet indoors for Morrison’s supermarket . A talk from a Morrison’s cattle buyer. Then back to the Bentley Hotel for the Society Evening Meal. It is 10 minutes from the A1 on the A46 and on the correct side of Lincoln to get to the AGM and Open Day venue. The hotel will provide the rooms for 2 nights and an evening meal for up to 50 people approximately on Saturday night. The cost is £70/night/person for dinner, bed and breakfast for Saturday night and £45/person for bed and breakfast on Friday night. SUNDAY 10.00am -MEET AT ANDREW AND SIMON CASSWELL’S FARM AT CORRINGHAM- Look at their Easy Care Sheep flock and a talk about fitting a sheep feed crop (like turnips or vetches etc.) into an arable rotation. SUNDAY AFTERNOON- An option to visit Lincoln Castle and uphill Lincoln or further afield to various museums.